On a break from his extended reunion tour with Guns N’ Roses, Slash is currently in the studio working on his third studio album with Myles Kennedy & The Conspirators. The set will mark the follow-up to 2014’s “World On Fire”, which debuted and peaked at No. 10 on the US Billboard 200. 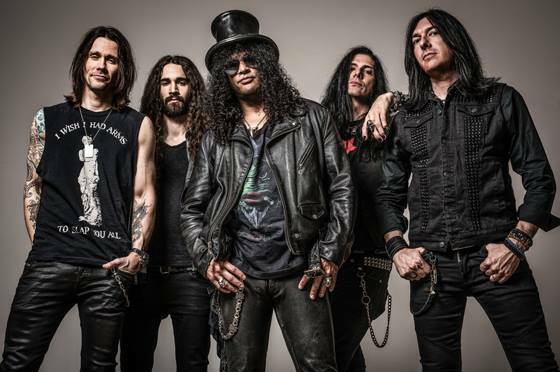 Slash will regroup with Guns N’ Roses for a 7-week summer tour of Europe that will begin in Berlin, Germany on June 3. “Guns N’ Roses will be headlining European festivals this summer, it’s going to be a 110% performance and a huge blast,” adds the rocker. “I love doing European fests and this is the first time we’ve done any proper festivals over there on the Not In This Lifetime Tour. The Not In This Lifetime tour topped the $475 million mark in gross sales at the end of 2017 to place fourth on the all-time tour list.